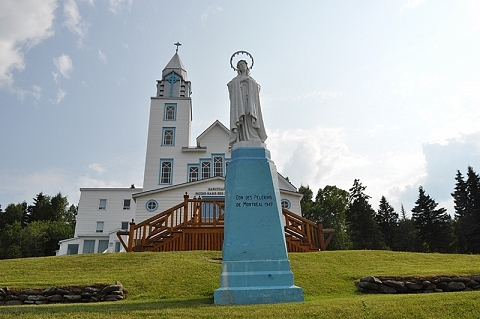 A site of worship and pilgrimage since 1940. Discover the history of the sanctuary, including the work of the Order of the Servants of Mary, and works of arts from renowned artists. The tomb of the founder, Father Jean-Marie Watier, is located in the Chapelle du Souvenir (Memorial Chapel) which is open 24 hours a day for reflection. Wander around the developed lands, take time for reflection, and admire the viewpoints on Gaspé Bay. Reception at the shop. Solitary contemplation possible upon reservation. Average length of visit: 60 minutes.